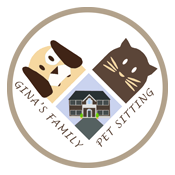 Gina’s Family Pet Sitting is a team-based pet sitting and dog walking business based in Central Massachusetts. Because of our team model, your pets will never have a lapse in care. Every family is assigned a primary caretaker who will get to know the ins and outs of caring for your fur babies. You can rest assured your furry family members are getting the best care possible. We invest in every walker’s and sitter’s Pet CPR and First Aid certification as well as other continuing education including dog behavior and body language classes and more... Let our family care for your family! We specialize in caring for many types of pets, from dogs and cats to pigs and goats, from the very young to the very old, and from the very healthy to the very ill, sick, elderly, and special needs pets. Not all dogs and cats do well in noisy boarding facilities, so caring for them at their own homes while you are away can keep their stress levels at a minimum. Reliable and professional care is what we strive for. Keeping you and your pets happy is what we do best. 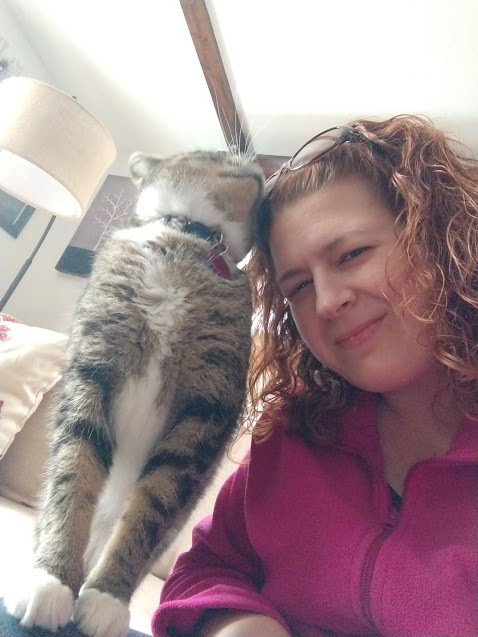 With Gina’s 20+ years experience in the veterinary industry, you can feel confident you entrusted the best for the job of caring for your fur children! Our pet sitting services include visits for many species, including cats and dogs, chickens, parrots and other indoor birds, ferrets, gerbils, hamsters, guinea pigs, rabbits, chinchillas, ferrets, turtles, pigs, and goats (and other species upon request). We can also administer medications, injections, and subcutaneous fluids. The best gift you can give your dog is a break in their day to stretch their legs, breathe in nature and sniff around, use the “facilities,” and enjoy some play and/or cuddle time! Don’t feel guilty about leaving your pup at home while you work those long hours and endure a lengthy commute! Our doggy friends look forward to seeing us every day. You’ll enjoy reading all about your dog’s walks with daily report cards that include photos of your cutie! Learn about Gina and the team, our experience, and our certifications including pet CPR and NAPPS background for species-specific knowledge. Our online scheduling system makes booking dog walking or pet sitting services easy and convenient! Once logged in, you’ll be able to schedule services, update your contact information and pet care instructions, view your calendar, make payments, or send a message to us. New clients, please contact me to create your account. Click the icon below to log in. Have more questions? Check out these frequently asked questions specific to our services or contact us. Contact us to discuss your situation and determine availability to care for your pets!